The Stevens Math Olympiad is a free mathematics competition for students in grades 3-12 that entails solving mathematical and logical problems, as well as demonstrating the joy and excitement of mathematics. This year's Olympiad will be held on Saturday, May 18, 2019 from 10 a.m. to 12:30 p.m. The newly revamped Reimagining Math Education conference united leading educational experts with dedicated instructors to find more effective ways to teach math--and reimagine what math education at both the high school and college level can be. Yuri Gurevich, world-famous researcher and principal research scientist for Microsoft, joined Stevens as a senior research scientist in the Department of Mathematics. His research interests cover mathematics, computer science and physics -- and he will lead a lecture series on quantum computing. Building on the momentum from the Stevens Math Olympiad, the math department ran three math circles in Hoboken elementary schools to continue nurturing learning and math education. They were a success. Nearly 400 students came to Stevens to test their problem-solving skills at the 2018 Math Olympiad. All of them walked away encouraged and inspired. Stevens announces that professor Darinka Dentcheva will lead the Department of Mathematical Sciences as chair, effective July 1, 2018. At Stevens, we do calculus differently. Students learn not only through lectures, but through team problem-solving sessions, self-study projects, innovative learning software, small class sizes and flexible schedules. Mathematics plays a central role in academic life at Stevens. It is both a fascinating subject worth exploring in its own right and indispensable to engineering and the sciences. The Department of Mathematical Sciences has a strong research focus on group theory, including computational, combinatorial, and geometric group theory. Stevens is a leader in the field of algebraic cryptography. 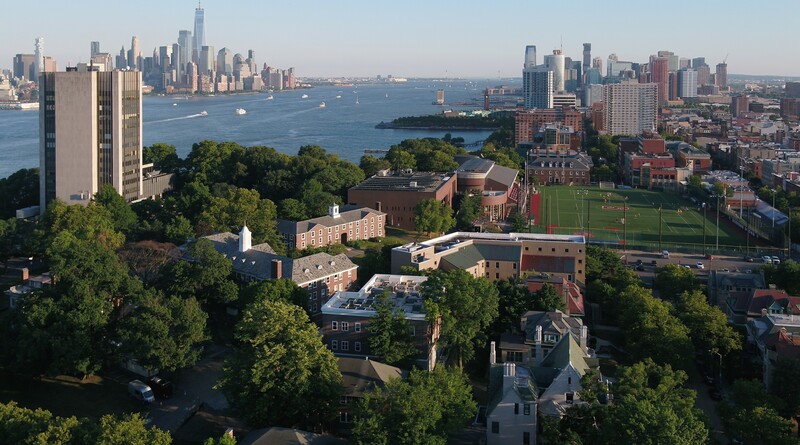 The Algebraic Cryptography Center (ACC) at Stevens is dedicated to investigating and developing the mathematical underpinnings of cryptography and cybersecurity. The ACC regularly hosts visiting scholars from around the world and runs a weekly seminar that is open to the public. Other research strengths of the department include stochastic optimization, applied probability theory, and differential equations. Actuarial Mathematics and Quantitative Risk, M.S. The Department of Mathematical Sciences conducts cutting-edge research in stochastic systems and optimization, as well as group theory and algebraic cryptography, among other fields. Research in stochastic optimization models with stochastic dominance constraints and risk functions, including new optimization models constraining risk. The Algebraic Cryptography Center investigates new techniques from computational algebra to practical problems in cryptography and cryptanalysis. Gradarius is a novel learning platform developed by Stevens mathematicians to help students master calculus concepts for deeper understanding. World-class research in computational, combinatorial, and geometric group theory. A seminar, featuring scholars from around the globe, is open to the public.